It is of utmost importance that you relax when playing violin. 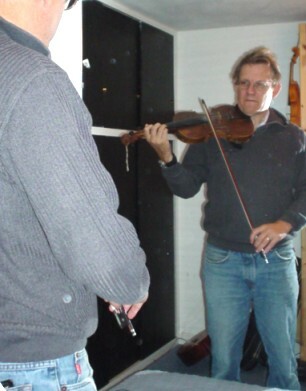 The positions you hold a violin are not natural, but if you do it right, you can learn how to relax while doing it. Don't overexercise in the start. Take breaks when you feel for it, and don't keep on practicing to long time. Practicing five minutes a day is far better than one hour once a week! You should be able to hold the violin between your chin and your shoulder, this allows for the best movement of your fingers. 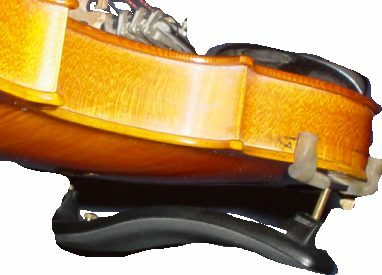 The shoulder rest of the violin is resting on your shoulder bone, and your chin is resting on the violin. 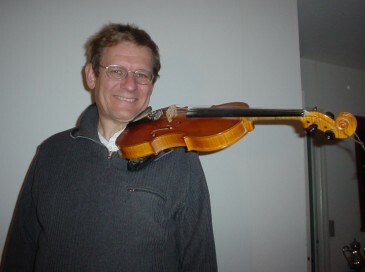 You need a good shoulder rest so you can hold your violin between your chin and shoulder.